Compact cameras are increasingly getting better with each new generation. Even with improvements across-the-board there are some that still have an additional level of quality coupled with a better feature set. The high end compact is home to several models that approach the quality and usability of DSLR cameras without the added weight. They aren't cheap but the trade-off is its superior build and photographic quality. There are a number of compacts aimed at the advanced amateur or professional photographer seeking high image quality and performance in a compact sized body. 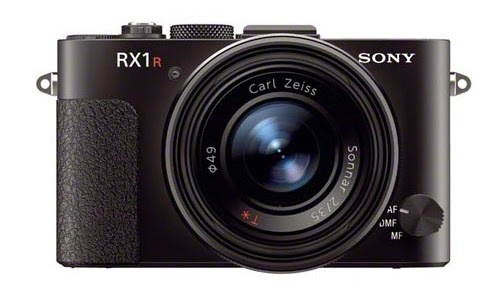 The Sony RX1R is a full frame, 24.3MP camera equipped with a 35mm Carl Zeiss Sonnar T* f2 lens and has no optical low pass filter for improved detail in the final photograph. It has a high quality magnesium alloy body and a manual aperture ring which can be adjusted in 1/3 stops to obtain the optimal setting. A +/-3 stop compensation dial located on the top for quick access to exposure compensation while in auto mode. While the ISO range extends to 25600 for extreme low light shooting. This camera also features Sony’s excellent WhiteMagic LCD screen and is currently the smallest compact digital camera with a full frame sensor available in the market. 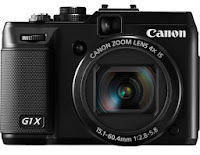 The Canon G1X has a 28mm (35mm equivalent) 4x optical zoom with an aperture range of f2.8 - 5.8. The camera packs a 14.3MP CMOS Sensor which is about 20% smaller than an APS-C Sensor. 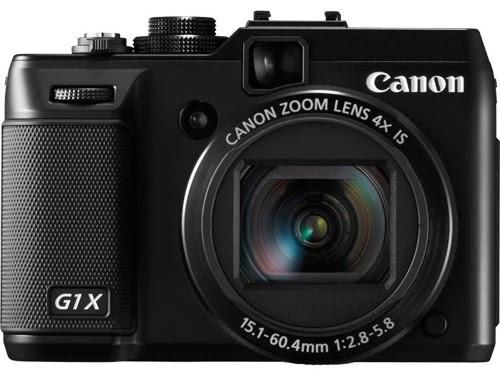 The G1X has full manual control with an exposure compensation dial on the top with a +/- 3 stop range. It also features a HDR mode for photographs with a high dynamic range. It will shoot 14 bit RAW images for smooth colour gradation and even shoots in different aspect ratios if you prefer 1:1 or 3:4. This camera is also compatible with a range of Canon Speedlite Flash Units. 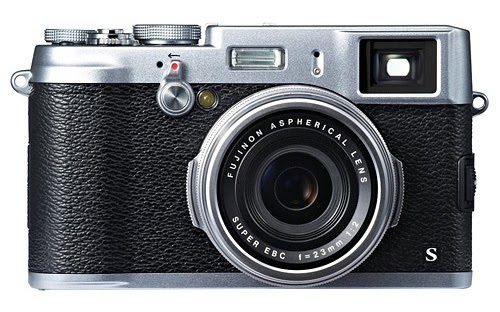 The Fujifilm X100s is a classically styled compact camera that is the successor to the ever popular, if a little flawed, X100. It features Fujifilm’s new 16MP APS-C X-Trans CMOS II sensor which also has no optical low pass filter to unleash extra sharpness and detail. The camera’s updated processor speed is now doubled and substantially increases the autofocus speed over its predecessor (this was a widely discussed issue with the original X100). The fixed lens sports a 35mm focal length and a fast f/2 maximum aperture for brilliant low-light photography or beautifully blurred backgrounds for those up-close portraits. The lens also has a very high level of optical sharpness, making it an ideal street photography tool. The leaf-type shutter is near silent and the menus are very easy to navigate. It also features filters that recreate classic Fuji films such as the ‘Velvia’ which was highly favoured by landscape and wedding photographers seeking vibrantly saturated properties. 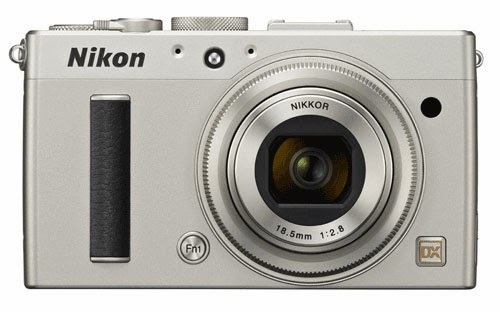 The Nikon Coolpix A has a 28mm (35mm equivalent) f /2.8 lens and a DX sized (same size as their crop frame DSLR cameras) 16.2MP Sensor. Similar to the other cameras mentioned above, the Coolpix A also has no optical low pass filter for ultimate image quality. It is the smallest camera in this round up and is very easy to carry around in your pocket for quick access, making it great for street and spontaneous photographic moments. The Coolpix A may also be paired with an iOS or Android device with the optional mobile adapter for convenient image sharing with your family, friends and favourite social media site. Additionally, manual focus is available by using the manual focus adjustment ring around the lens. This is not an exhaustive list of high-end compacts and there are a few more that are definitely considering if you’re in search of one. Come in to one of our stores, give us a call on 1300 365 220 or check out our website if you want further info. on these camera types. As always, we are happy to talk about all things photography!